This is why calling us for ladybug control would be the next step. We will be able to provide ladybug extermination to the areas of your house where the ladybug infestation is located, and then effectively eliminate the problem. Ladybugs become a problem in particular when they move inside our homes in search of warmth and protection over winter. Common reasons they get inside the home is due to cracks in caulk or seals around windows and doors. Attics, overhang vents, and roofs can also allow access for the ladybug if there are any damaged areas or cracks. 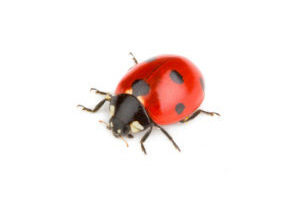 A ladybug exterminator can determine where your ladybugs are coming from and where they are nesting. We can perform effective ladybug control and keep the ladybug infestation from taking over your property and home. Sealing up cracks in your home are first steps you can take to discourage further ladybug problems. Calling our professional ladybug extermination team can ensure that successful ladybug control takes place and that your home and property are ladybug free.